Being a single parent is anything but a simple job. Parenting is challenging enough, but raising a child as a single parent comes with its own set of hurdles. Single parents face every day with new, unknown challenges to overcome. Fathers deal with many of those challenges, but with Western society’s emphasis on women as nurturers and caregivers, fathers also have to confront their own unique struggles with single parenthood. It takes putting on a brave face even when you feel lost and alone. When you’re a single father, it’s not easy to stay positive. 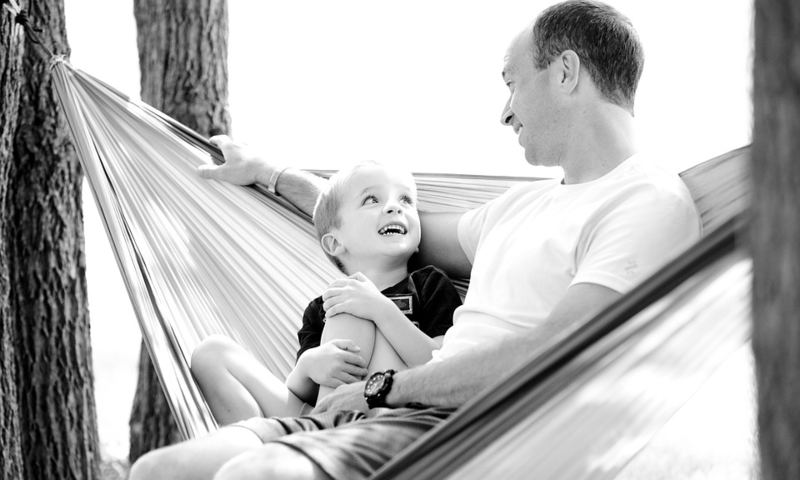 Here are some common single father challenges and tips to overcome them. A major hurdle for single fathers is isolation. Not only are single mothers more common, but society tends to encourage fathers to be stoic and strong, accusing them of weakness if they reach out for help. You may feel like you need to hold back, but, the truth is, other single fathers are out there tackling similar day-to-day challenges, and if you connect with them, you could share experiences and come up with better ways to parent your child or manage your situation. All parents need a reliable support system of friends, family and others who understand life as a parent. That’s even more important for single parents. Seek out support groups at local churches, schools, online or through your healthcare provider. That way, when you encounter an unexpected challenge—like how to handle bullying—you can reach out to other single fathers who have tips from a similar experience. Single fathers sometimes have a difficult time communicating with their children. When they come to you with a problem, you immediately jump to fixing the situation instead of listening to their feelings. Your toddler may push your boundaries too much or your teenager may feel like you simply don’t understand them. However, practicing good communication skills—which includes listening skills—can help you bridge the gap. When your toddler tries testing you, they often don’t understand the way they feel and are simply acting out, trying to establish their own personality in the family dynamic. As a single dad, you have to communicate that you are the rule-maker and the comfort-giver. When your teens come to you with problems, ask questions that help them understand and validate their feelings, and let them know that their feelings are your priority, too. Be sure to keep the metaphorical door open at all times so they know they can talk to you about anything at any time. Another challenge single fathers face is the guilt that comes with watching a child struggle with divorce, death or separation. It’s not uncommon for single parents to feel overwhelmed with guilt by moving into a new home, starting a new school, or trying to establish new routines. You may feel so guilty that you hesitate to discipline them, but then you risk overindulging their whims or losing their respect. Discipline is a healthy part of your relationship with your children. Think about how your feelings of guilt could be harmfully impacting your child’s development. Letting guilt get in the way of being a good parent only makes you feel better in the moment. Set an example for your children by taking care of yourself. Avoid relying on substances or alcohol, even occasionally, to cope with stress. If you need help, ask for it. Talk to a friend, family member, your doctor or a mental health professional. The number one way to overcome any challenge of single parenthood is to be an active, involved presence in your child’s life. Finding healthy ways to balance work, parenting and enjoying your own life all helps lead to successful parenting.